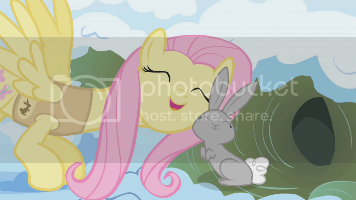 My Little Pony Arena » Forums » Special Interest Groups » Littlest Pet Shop » PC Please: Vintage pets/accs - Baby Buddies? 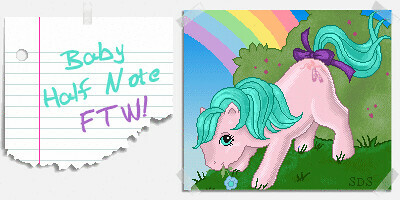 Forums » Special Interest Groups » Littlest Pet Shop » PC Please: Vintage pets/accs - Baby Buddies? PC Please: Vintage pets/accs - Baby Buddies? Posted: 0 Post subject: PC Please: Vintage pets/accs - Baby Buddies? So, I've been checking through and I can't ID these bits. I know the animals are LPS becuse they have the silver pawprints. I'm not 100% sure on the accessories but the food dishes at least look right. Any thoughts on what sets these go to and values would be appreciated. I believe the two kitties and the two bunnies are the pets to Kenner Baby Buddies. 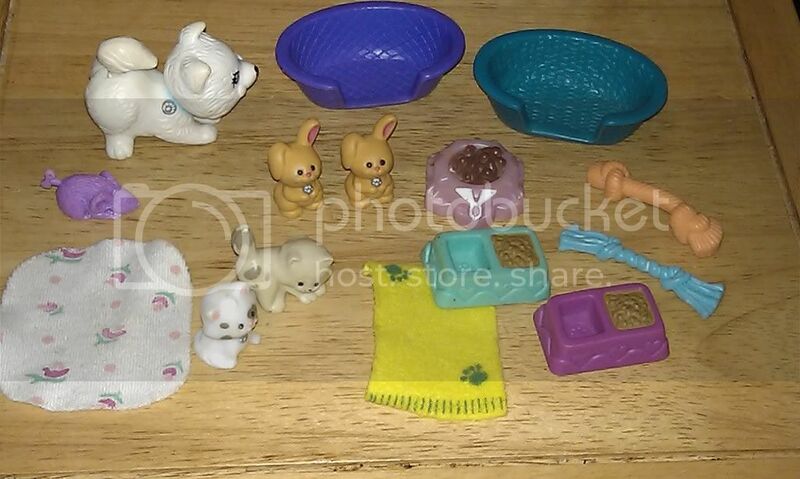 The white dog and pink pearly food dish are G1 lps. I'm pretty sure the two rectangular dishes (turquoise and purple) are baby buddies as well. The remaining items are not G1 LPS. I have no idea what they could be, and unfortunately I have no idea what to price any of these at. Posted: 0 Post subject: Re: PC Please: Vintage pets/accs - Baby Buddies? I've amended the itel to include baby Buddies in case anyone has more info! Awww they're so cute! Good luck!